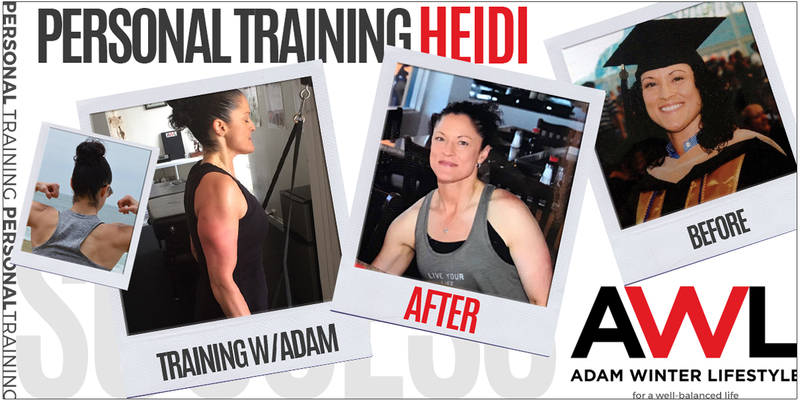 STATS: Heidi lost 40 LBS, 10% body fat and 22 inches! Two years ago I went to Adam Winter Lifestyle to purchase a gift certificate for my partner. The gift certificate was a Christmas present. Selfishly, it was not just for her, it was also for me. I never realized it would be one of the best decisions I ever made! Before I met my partner two years after I got sober, I had lost nearly 30 of the 90 pounds I had gained. To make a long story short, I put a few back on and was tired of the scale going up, and down. So, I decided to do something good for me and my partner. Invest in our life long journey for a healthy lifestyle. So, I purchased partner sessions from Adam. The best thing I could have ever done for myself and my partner, was buying sessions to train with Adam Winter! Not only did we continue our weight loss journey by going to train with him every week. 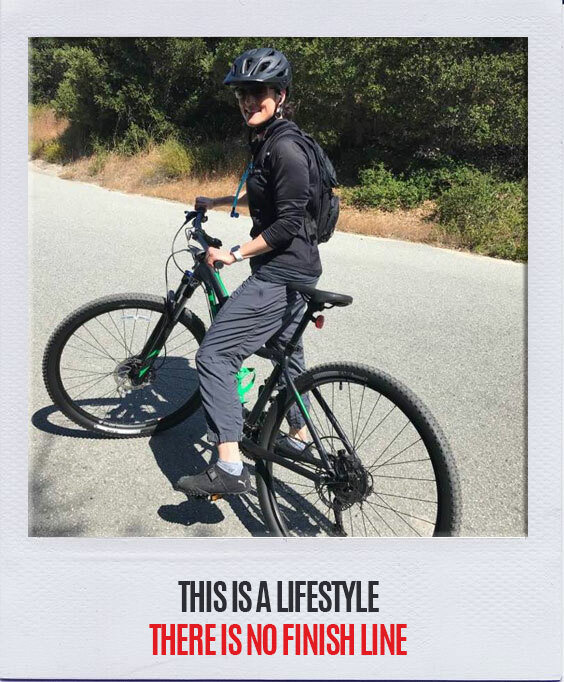 We continued to go because fitness became a part of our lifestyle. Two full years of training every Saturday at Adam Winter Lifestyle resulted in maintaining my weight loss. I have almost 9 years of sobriety! The scales no longer rule my life. Instead, fitness, eating health, and living in a way that feeds life is where this journey has led me. I owe my beautiful fit lifestyle to Adam Winter. Today, I wake at 4am daily to exercise since it is a way of living. Kind of like brushing your teeth, if you don’t brush them every day… well, you can lose them. The same concept holds true for living a healthy life. For those who have struggled with maintaining their weight loss, or simply cannot lose weight. Remember, you have to love yourself enough to live a healthy lifestyle. Commit to being fit, and make fitness a lifestyle, not a duty. One workout at a time, one day at a time, one meal at a time, you will get there! The best thing I ever did for myself and my parter was getting us personal training sessions with personal trainer Adam Winter Lifestyle!